Let Old Acquintance Be Forgot…. ….and something, something, something. Christmas has come and gone, and one of my newest treasures from Baby Jesus Day is a brand spankin’ new Playstation 3! Needless to say it was quite the surprise, as I had put it on my list to my mom as a joke. I guess she was strapped for ideas, as it was one of the items that I actually recieved! This week is my vacation week, and it’s been pretty great. Mostly its been spent playing God Of War and watching Dr. Who, a series that has long been on my “to watch” list. Oh, and waiting for my birthday to arrive of course. But enough about me……IT’S WEDNESDAY! Oh hey Nemesis, long time no see. The oft-delayed miniseries by Mark Millar and Steve McNiven finally draws to a close this month, nearly 6 months after it debuted. 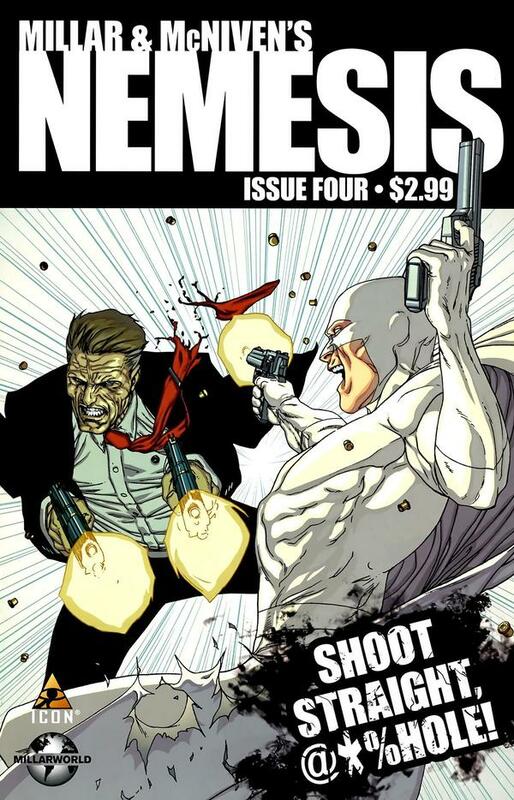 Within this issue we finally learn the secret behind Nemesis, and boy, is it a doozy. Nemisis has been a series that flaunts its over-the-top action, and this issue is no exception. Millar’s script is relentless, and McNiven’s pencils are a sight to behold. The entire showdown takes place at the White House, where Nemesis has top cop Blake Morrow’s wife, as well as the President. Here he makes an ultimatum: shoot either your wife or the President. “Your family or your job”. What follows after that is a no holds barred shootout/slugfest, one that takes a few unexpected turns as well. What really pulled me in and sold me on this series as a whole is the twist at the end. I won’t spoil it here,but I was very pleasantly surprised by the reveal, and while some have expressed disappointment over how it serves the character of Nemesis, I was very impressed by it, and I’m curious as to how it will play out in the eventual sequel. Suffice to say when the movie adaptation is released, I think a lot of people will be extremely surprised. That is if they keep the twist. Whenever I hear that a well-known artist is going to be taking on writing duties for a book, I instantly prepare for the worst. While some can be Frank Miller……er…”Dark Knight Returns” era Frank Miller….most end up being like Todd McFarlane’s 1990’s “Spider-man” series, i.e. lots of pretty pictures, but really, really stupid plot. With this in mind, I carefully opened the cover to Batman: The Dark Knight, the latest (and FIFTH) Batman title to be released. Well, consider me surprised, as this book wasn’t half bad! 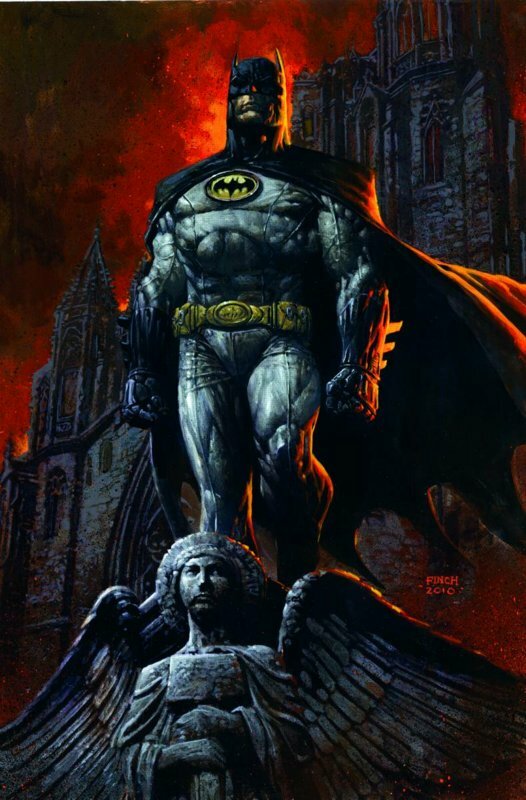 While Finch’s strong suit is still drawing pretty pictures, the story, which involves Bruce Wayne returning to Gotham to investigate the mysterious disappearance of a childhood friend, covers a lot of the familiar “beats” of a Batman mystery. We’re also treated to some a few appearances by some familiar Bat-rogues, namely Killer Croc and a much creepier take on The Penguin. Dark Knight definitely exceeded my expectations. Here’s hoping that it’s not just a fluke. We have now reached the end of Marvel’s new line of What If? specials, with this one, “issue 200” being the last. 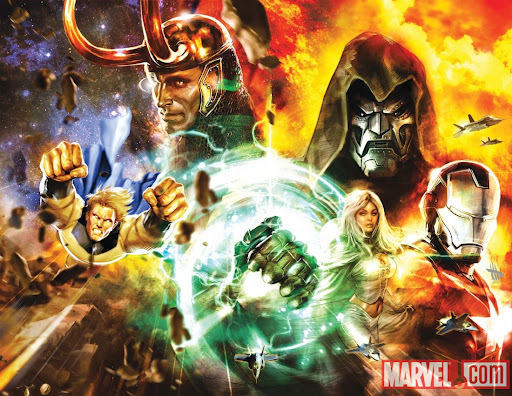 This issue focuses on the big “Seige” event from last year, which saw Norman Osborn take on Asgard and subsequently lose his power over the government. Oh, and the Sentry died. This issue asks the question “What if Norman Osborn WON the siege of Asgard?” Essentially what this means is “What if Ares got pissed at Osborn and tried to kill him before Osborn attacked Asgard, and the Sentry ripped him in half days before the attack?” What we get is a Sentry that isn’t as “depowered” as he actually was, and he slaughters the entire Avengers team. Literally. This may be one of the bloodiest mainstream comics of the year, right behind the Punisher: The List one-shot. The rest of the story follows the surviving members of the Cabal (Dr. Doom, Loki, and Emma Frost) and the X-Men as they struggle to destroy the Sentry. Eventually he becomes the Void and destroys the world. Kind of a downer, but this issue was definitely the best of the recent What If one-shots. Also included in this issue is a Galactus “What If” by Stan Lee, and a reprint of “What If Bullseye Had Not Killed Elektra” by Frank Miller, as well as a comprehensive list of every What If story and its issue number. While it was cool to have these bonuses, all it made me do was wish that we had an actual ongoing What If series again, and not a couple of crappy one-shots every year.